I would like to take this opportunity to thank Phil and CAIS (Change Step) for the invaluable service that I have received so far. Having Phil and all the other support at the end of the phone is irreplaceable to me at the moment. Phil regularly calls me to touch base on where I’m up to and is always there when things get too much and I have to reach out, even when he probably doesn’t have to. Having Phil at the social services meetings has been an immense help. I’m not trying to insinuate anything here, but I feel I am treated differently by the professionals when he is not there and I now consider his attendance imperative to allow fairness to be applied for my children and myself. Phil has also attended the police station as my appropriate adult when needed and I’m sure without his help I would possibly be writing this from a prison library! More recently, Phil gained access to some excellent advice with regards to getting me back into work. I have not long completed an engineering diploma, funding sourced from SSAFA, and thanks to the advice received have been able to start making things out of my shed with the support of benefits agencies etc. I currently make a few tables and am working on converting an antique safe into a wood burner. Being able to do this has a two-fold effect. Firstly it enables me to practice mindfulness which is essential to my recovery. Secondly it provides me with great hope that someday soon I may be able to get off benefits and start providing for my family properly. That’s all I really want in life. I attend the PTSD clinic once a month which whilst it is hard is also a great opportunity to be around the lads. 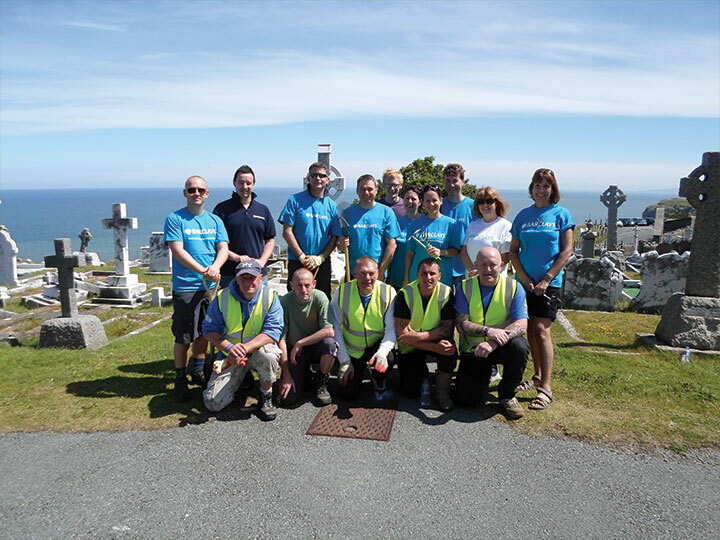 This encouraged me, on Phil’s advice, to get involved with volunteering for Remember our Heroes maintaining and cleaning up graves of ex-service personnel. I have only been out once doing this but it was nice to spend time with the lads and gave me a great sense of pride and achievement. I will therefore be attending as many as possible going forward. Soon I will be accessing psychological support from the NHS Veterans Wales service thanks to the referral from Phil Williams, Change Step. None of this would be possible if it were not for Phil and everyone else at CAIS so, again, I would like to thank you all from the bottom of my heart for what it is you do, you are all wonderful people.